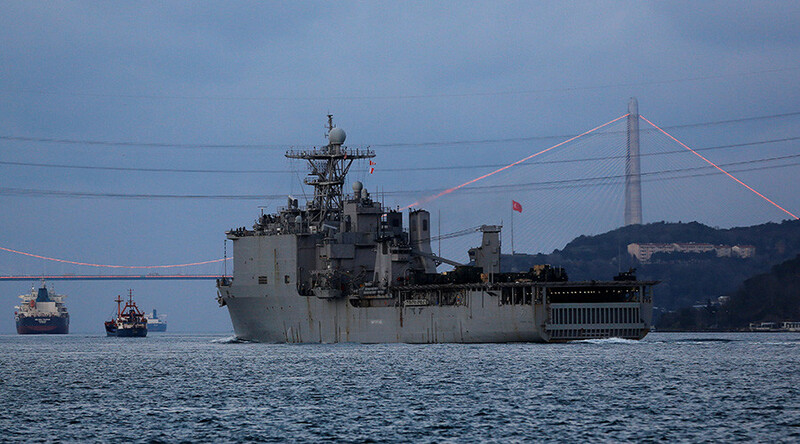 An American landing ship, the USS Carter Hall, with marines on board, has crossed the Bosporus Strait and arrived in the Black Sea on Friday for joint drills with the Romanian Navy. “The amphibious dock landing ship USS Carter Hall (LSD 50) and embarked Marines from the 24th Marine Expeditionary Unit, arrived in the Black Sea March 17, to participate in bilateral training exercise Spring Storm 17 with Romania,” the US 6th fleet said in a statement. The Spring Storm exercises will take place not far from the Romanian port of Constanta between March 18 and 21. “The Spring Storm exercise provides Carter Hall a valuable opportunity to operate forward with our NATO ally in the Black Sea region (Romania). We are looking forward to increasing our mutual cooperation to enhance security throughout 6th Fleet,” Timothy Carter, USS Carter Hall commanding officer, said of the war games. The 6th fleet is the US Navy’s command for Europe and Africa headquartered in Naples, Italy. The exercise, involving Romanian Navy and Air Force, will bring together a total of 1,200 American and Romanian soldiers, Sociedad Rumana de Radiodifusion reported. The war games will focus on working out cooperation in protecting the Romanian coastline and cities in the area, it added. Carter Hall (LSD-50) has a crew of 400 and can carry up to 500 marines, who are delivered ashore via small landing craft and helicopters. 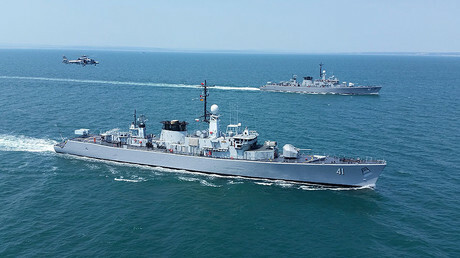 Earlier this week, four NATO warships sailed into the Ukrainian Black Sea port of Odessa. Troops from Poland, Spain, Germany and Turkey are to conduct drills and boost ties with their Ukrainian counterparts until April 20. Commenting on the February military exercises by NATO, Russian Defense Minister Sergey Shoigu said Moscow was “watching and monitoring everything that is happening” during the war games.